Fujifilm has announced two new, almost identical long-zoom compacts, the FinePix S9900W and S9800. Both cameras come with a 16.2MP BSI CMOS sensor, 50x optical zoom lens, 920K-dot EV, Full HD 1080/60p video with 5-axis image stabilization, continuous shooting mode of up to 10fps, and a variety of creative effects. The difference between them is that the S9900W is equipped with built-in Wi-Fi, which the S9800 lacks. The S9900W and S9800 will be available in March for $349.95 and $329.95 respectively. 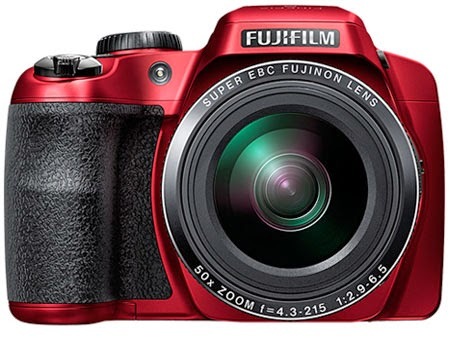 For the full list of compatible accessories, see Fujifilm FinePix S9900 and S9800 accessories. FUJIFILM Corporation (President: Shigehiro Nakajima) is delighted to announce the launch of the FinePix S9900W and S9800 bridge cameras, both of which feature powerful 50x optical zoom lenses for maximum picture taking versatility. Further stand-out features on the two cameras include a 5-Axis image stabilization system for movie recording, Full HD video capture and a selection of creative filter effects. The S9900W also offers wireless LAN communication. The showpiece of the S9900W/S9800 is undoubtedly the Fujinon 50x optical zoom lens. Featuring a bright F2.9-F6.5 maximum aperture setting, the lens offers a huge 24-1200mm* optical range that can be boosted to an incredible 100x magnification with Fujifilm's Intelligent Digital Zoom technology. This range means no subject is beyond the reach of the cameras; even detailed close-ups are easy with a Super Macro mode that focuses down to just 1cm**. Picture quality is assured thanks to the lens' optical construction. With both 3 aspherical and 2 ED elements used in the design, aberrations are minimized so users can be confident of high quality results throughout the range. Image sharpness is also enhanced by the lens shift image stabilization system that reduces the effects of camera shake, especially at the longer zoom settings. Further stability is provided by the position of the zoom lever on the side of the lens barrel. This means the zoom can be controlled with the left hand while the picture is taken with right. The 1/2.3-inch 16.2 megapixel BSI CMOS sensor in the S9900W/S9800 is back-side illuminated to ensure the best possible results right up to the maximum ISO sensitivity of 12,800. 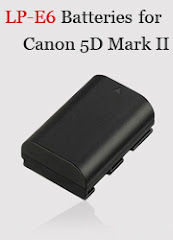 Coupled with the rapid focusing speeds, users can be confident of getting great results in double-quick time. The S9900W/S9800 can start up in just one second, autofocus in as little as 0.15 seconds and then be ready to take another shot in just 0.6 seconds. Those wanting to capture a burst of full resolution images in quick succession can do so using the continuous shooting speed of 10.0 fps (maximum 10 frames). As well as being a powerful machine for still image capture, the S9900W/S9800 is equally potent when it comes to movie capture. It records movies in Full HD (1920 × 1080) at up to 60 fps and uses a Movie Scene Recognition function to make sure it selects optimum settings for the best results. Further versatility is provided by the seven Advanced Filter functions that allow users to add creative effects to movies, plus there's a 480 fps slow motion mode*** and a dedicated movie recording button so you'll never miss the action. To ensure movies have a smooth and professional look and feel, Fujifilm has developed a 5-Axis Image Stabilization system that combines two-axis optical and three-axis electronic stabilization functions to keep unwanted camera movement to a minimum. Movement is tightly controlled whether the camera moves in a vertical, horizontal or rotational direction and even while the camera operator is walking. After movie footage has been shot, further control is offered with the Movie Trimming and Movie Join functions. The former allows unnecessary parts of the movie to be easily removed while the latter enables the user to combine multiple movies into one file for in-camera editing. The S9900W also offers remote shooting via a smartphone or tablet*4, while photos and movies*5 can easily sent to smartphones and computers using the same wireless connectivity. Just download and install the Fujifilm Camera Remote app, then press the dedicated Wi-Fi button on the camera to make the most of wireless LAN communication. Not only can users shoot remotely from their device, but also zoom in or out to fine-tune compositions and capture movies, too. Images are easily sent to smartphones and tablets where they can be viewed in all their glory. The S9900W's Wi-Fi®*6 communication also enables easy backup of pictures and video to a computer. In addition to these filters, both cameras also offer multi-frame processing that allows users to take two or more shots and then combine them for a High Dynamic Range (HDR) image, plus there's an Interval Shooting function which automatically fires the shutter at regular intervals defined by the user. Shots can be taken up to 10 minutes apart for a maximum shooting time of 6 hours. All images can either be composed and played back using the rear LCD or the built-in electronic viewfinder (EVF). With 920k dots, the EVF in both models is exceptionally bright making it easy to check shots, even on bright days. *** Image size is 320 × 120. *5 Some movie files that cannot be played on smartphones cannot be saved with the iOS version of the “FUJIFILM Camera Remote”. Please try with the movie mode with a size smaller than HD (1280 × 720).